With trade-related news in a rare lull, fears about an imminent global recession appeared to be at the forefront of investors' minds last week, as the Fed took a surprisingly dovish turn, which was accompanied by another apprehensive cut to its GDP forecasts, and a spate of weak industrial production data out of Europe (Where the Continent's largest economy has likely already slid into recession) stoked fears that what has been one of the longest expansions in modern history might reach its disastrous conclusion before the end of the year. Amid the vertiginous twists in US equities - amid a spate of single-stock narratives (Boeing's continued troubles, the decline in Nike's North American sales, bank stocks being hammered by the yield curve inversion) - President Trump's comments about a possible tariffs compromise on Friday didn't raise too many eyebrows. But what he said, though the White House once again declined to elaborate, is still important. Because it once again inadvertently illustrated just how far apart Washington and Beijing are. Despite the optimistic rhetoric, it appears that a final deal remains bewilderingly remote. And as Robert Lighthizer and Steve Mnuchin prepare to return to Beijing this week to continue talks with Liu He, another obstacle in the increasingly fraught negotiations appears to have emerged. By all accounts, Beijing hasn't dropped its demands that the US lift most - if not all - of its trade-war tariffs on Chinese imports - immediately as part of the final deal. And while issues ranging from enforcement to currency manipulation to Chinese structural reforms have yet to be resolved, when it comes to the latter of these, the Financial Times on Sunday offered a little more clarity about a particularly important issue: digital trade. 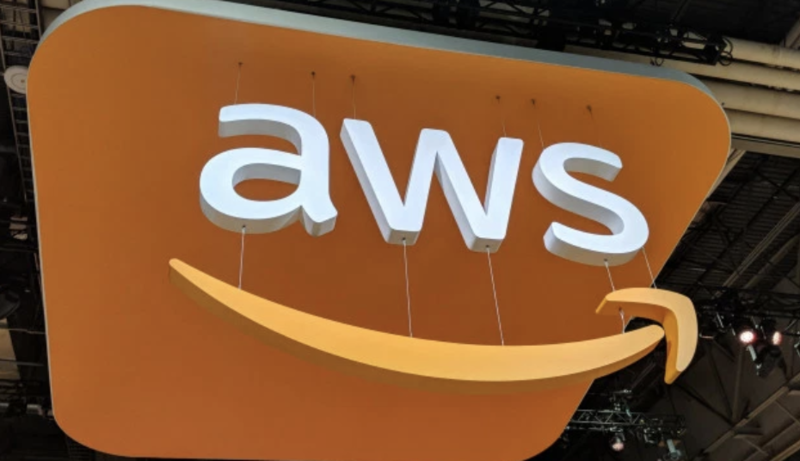 As Amazon searches for still more growth markets, and Apple pivots to being a "services"-focused company, America's tech giants are insisting that China lower its barriers to competition for American cloud computing providers. Per the FT's sources, the issue is expected to be one of the main topics of discussion during this week's meetings. The impasse over digital trade is among the issues expected to be on the table when Robert Lighthizer, the US trade representative, and Steven Mnuchin, the Treasury secretary, travel to Beijing on March 28 for meetings with Liu He, China’s vice-premier and leading economic official. Mr Liu is expected to return to Washington the following week, and the two sessions combined could be pivotal for the fate of the talks. With North Korea already acting up, it's worth considering that Beijing might be pulling strings to exert more pressure on the US, now that the trade-deal impasse has persisted for months now. On a similar note, analysts and traders have long pondered how Washington's war against Huawei might impact trade talks. Now, thanks to the FT, we might finally have an answer: As one analyst pointed out, as long as Washington continues to discriminate against Huawei, Beijing will have no political wiggle room to compromise on opening its markets to US technology companies. Because how can Xi justify welcoming US technology firms to the mainland when Washington is doing everything in its power to keep Huawei out? The tensions between the two countries over Huawei, the controversial Chinese telecommunications network company that has been attacked by the Trump administration as a security threat, could be problematic as well. “It doesn’t make sense for Beijing to give on this while we have this global campaign to block Huawei,” said Samm Sacks, a cyber security and China digital economy fellow at the New America Foundation. “Why on earth would China say: ‘Hey, let’s open up for more cloud services in China?,” she said. However, she added the Chinese might be more open to compromise on data flows, given that some of China’s expanding global companies are looking for ways to transfer data abroad. On the US side, it is unclear whether the Trump administration will go out of its way to favour the agenda of big technology firms, given the political backlash in the US against them from both Republicans and some Democrats. However, in the renegotiation of Nafta with Canada and Mexico, Mr Lighthizer mostly secured what the US technology sector was looking for. Silicon Valley remains a key component of corporate America, so failing to win it any gains could weaken the enthusiasm for any deal among some business leaders and politicians. "The US negotiators had better get as much as they can or the deal will be ripped apart," said another business lobbyist following the negotiations. The message isn't particularly subtle: If Trump thought the Chinese would simply ignore his comment that Huawei (specifically, the criminal case against its CFO) could be used as a bargaining chip in the trade talks, he was sadly mistaken. We imagine more will be revealed during the coming week.